Request a quote for your hydraulic product, hydraulics design or servicing needs. Please fill in the form below and provide us with any specific details regarding your quote. 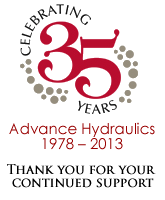 An Advance Hydraulics specialist will contact you shortly regarding your quote.